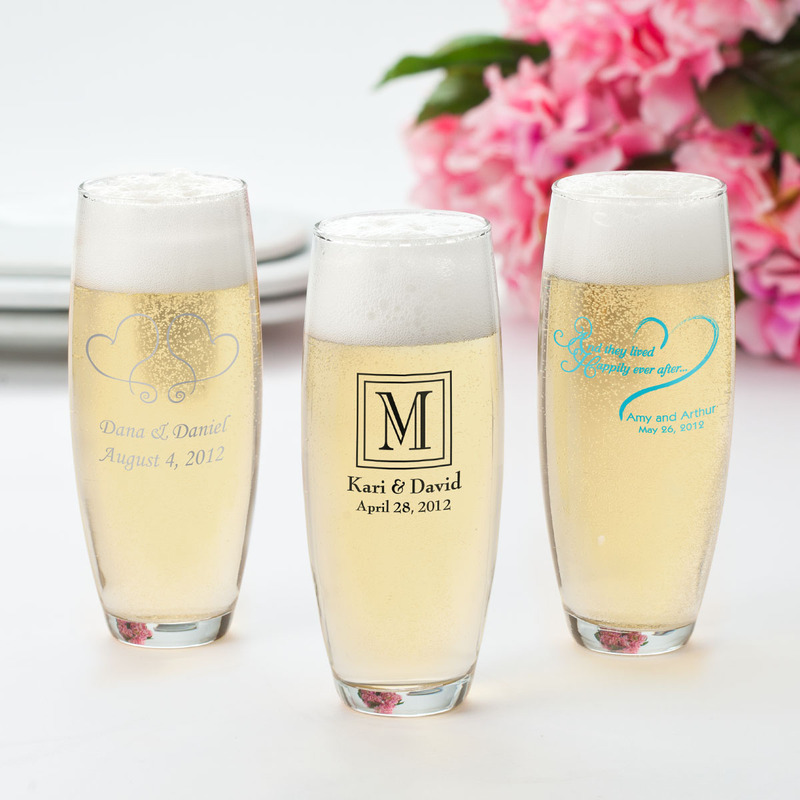 Looking for Wedding Anniversary Favor Ideas for your party? 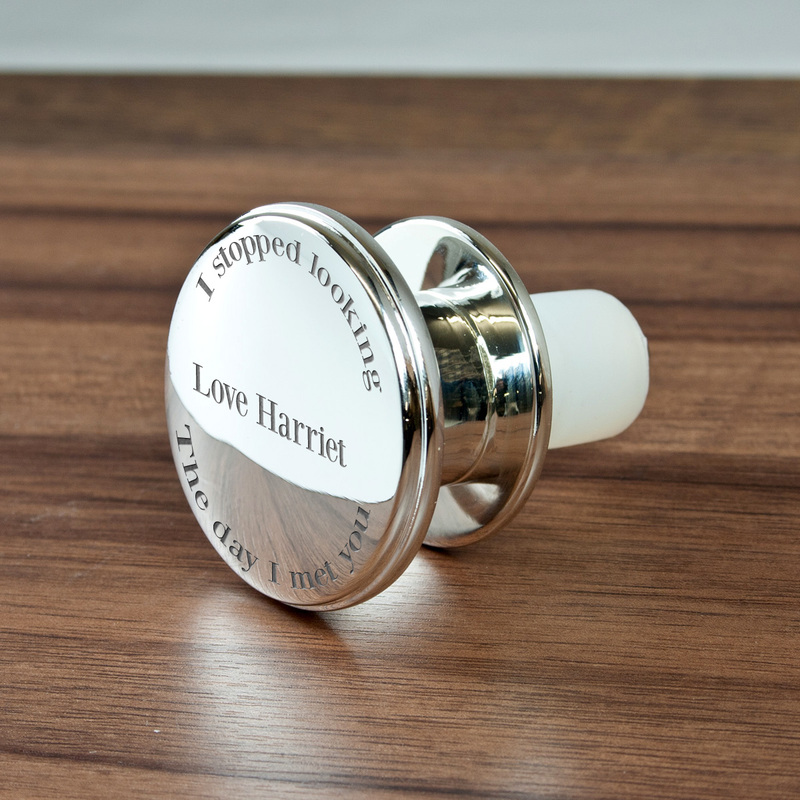 We have lots to choose from that make a perfect thank you to your guests and a lovely souvenir for them as well. or a favor themed to your Anniversary. 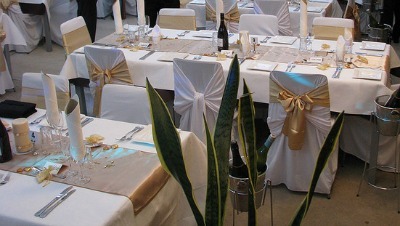 Think about what you and your guests would like and how they will look on the tables. Seed favors are growing (excuse the pun) in popularity, you can buy a big bag of seed and then divide it into small favor envelopes. Your guests can then plant them when they get home. You can also buy seed papers, where the seed is in the paper - all they have to do it plant the paper! You can have the sheets personalized with your names and the dates. 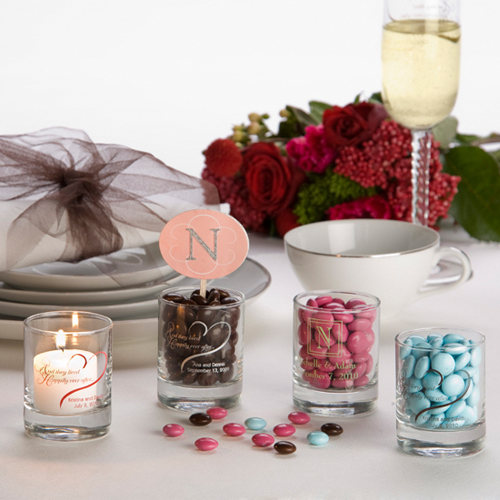 Candle and bath favors are a nice idea for your female guests, you can wrap them in tulle and tie with a pretty ribbon. Male favors could be a lottery ticket, or a set of golf tees or a miniature bottle of whisky. For a very personal favor you could have a framed photo of yourselves or a framed poem. 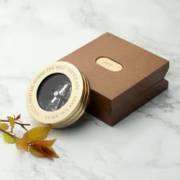 A classic favor is a chocolate truffel in a favor box, I always enjoy those! A nice way to remember your day and to give something back is to donate the money you would have spent to your favorite charity, a little card on each table could explain what you have done in their name. Or have a look around for Fairtrade gifts and use these instead. Your anniversary favors can also be an important part of your room's decorations. 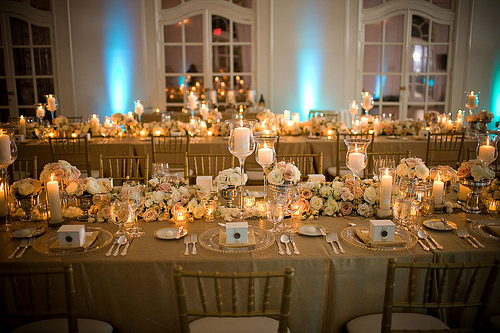 This room is simply decorated in gold and you can see the gold favor bags adding an extra touch of color to the tables. 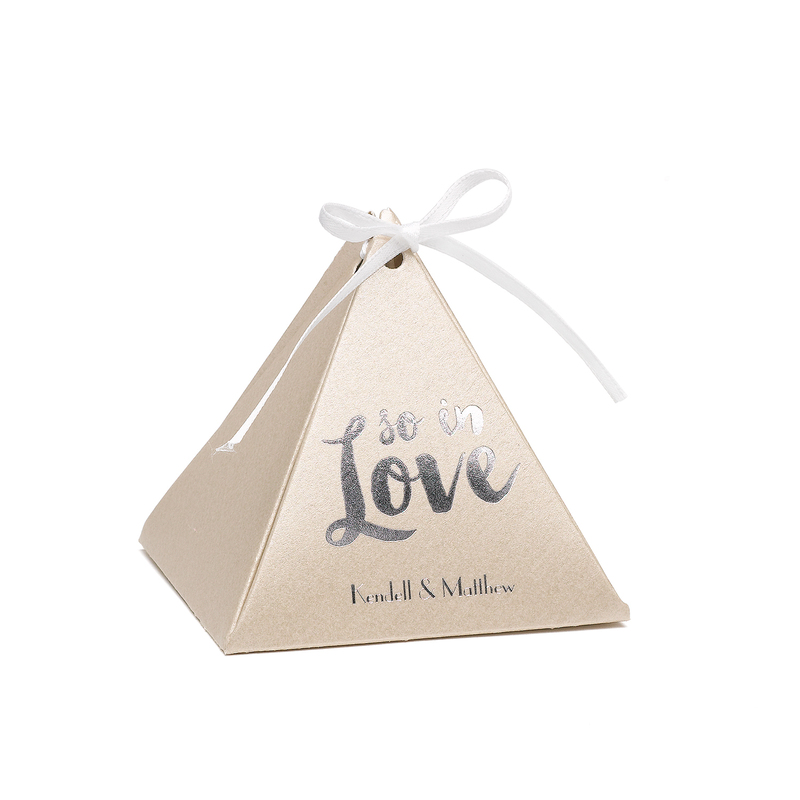 You can even use your favors as your centerpiece and have a pyramid of favor boxes in the center of the table. These could be on a charger plate in your colors or a cake stand - that's if you have enough for all of your tables! Koyal Wholesale has a big variety of favors. 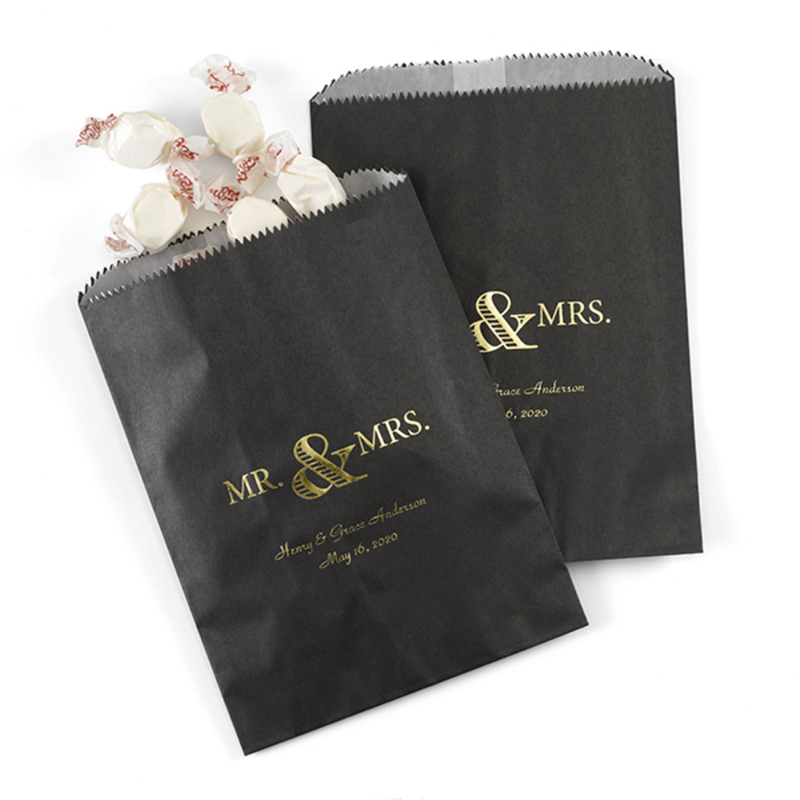 MyWeddingFavors.com have every type of favor imaginable and loads that would be perfect for your anniversary party.